Downing 48" Dining TableDowning 48&quot; Dining Table, alt="Downing 48&quot; Dining Table, "
Print Long admired by guests at our San Francisco Design Shop, this popular little table was inspired by a 1960s antique. We replaced the kelly green finish of the original with fresh, neutral shades and kept the sculptural look of the design. 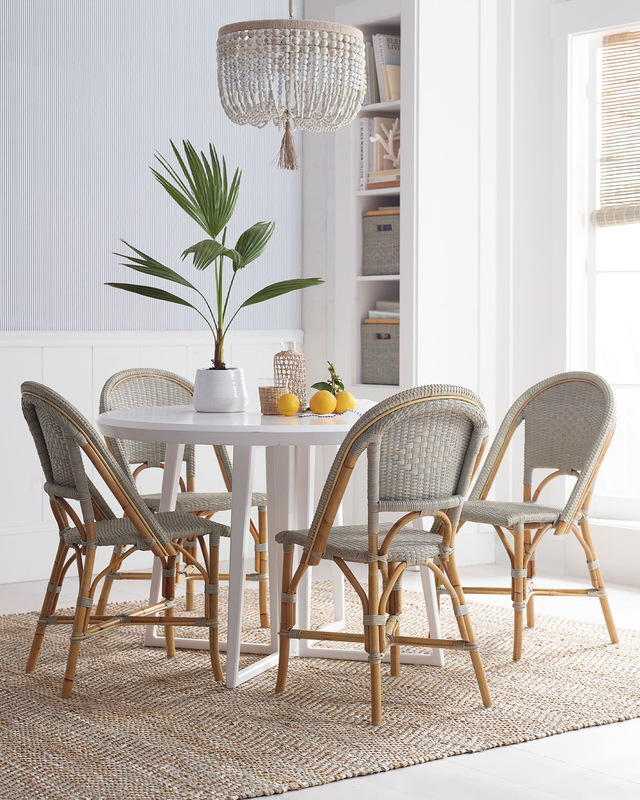 Wonderfully versatile, this is truly a multi-functional piece – try it in the entryway as a statement piece, the family room for an elevated games table, the breakfast nook for a cozy place to sip your Sunday coffee. 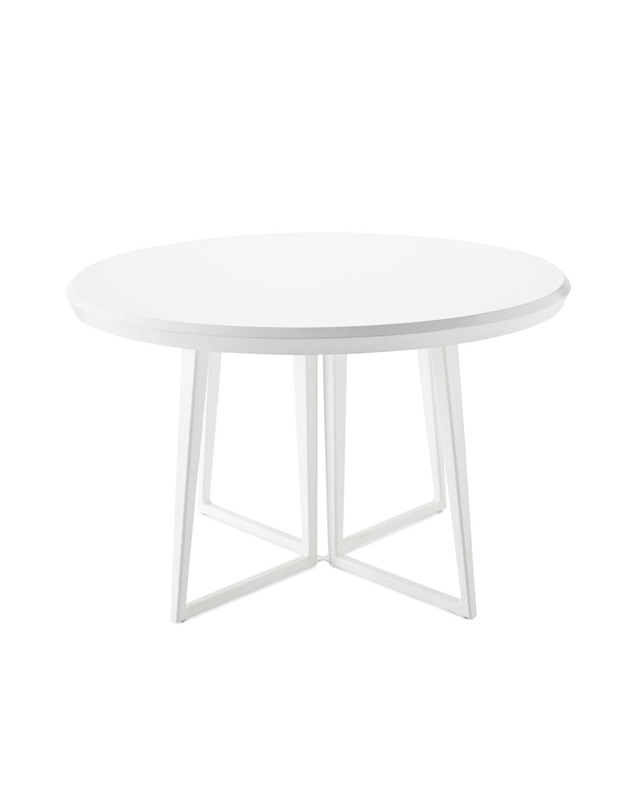 Tapered, angular legs provide a base that’s airy and unique. Engineered wood frame with maple veneer.